Below is basic information on bail bond laws for Massachusetts concerning Bail Enforcement, Bounty Hunters, Fugitive Apprehension and Bail Bondsman. This is not legal advice. Laws change frequently, please check the links provided for possible updates and current information. Massachusetts General Laws Annotated (MGLA) 276 § 61B Part IV. Crimes, Punishments And Proceedings In Criminal Cases Title II. Proceedings In Criminal Cases Chapter 276. Search Warrants, Rewards, Fugitives From Justice, Arrest, Examination, Commitment And Bail. Probation Officers And Board Of Probation Arrest, Examination, Commitment And Bail. 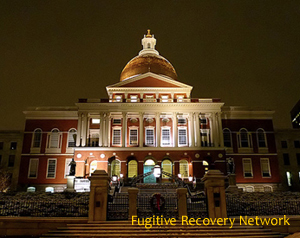 Massachusetts Rules Of Court Rules Governing Persons Authorized To Take Bail Rule 1 – 40. 1999 Massachusetts House Bill No. 1481, Massachusetts 183rd General Court — 1999 Regular Session Introduced Version Date January 6, 1999 An Act Relative To Bounty Hunters. Any unregistered person receiving hire or reward for his services as bail or surety in any criminal case, and any unregistered person becoming bail or surety in any criminal case in any calendar year after having become bail or surety in criminal cases on five separate occasions in said year, and any professional bondsman violating any provision of the rules established here under for such bondsmen, shall be punished by a fine of not more than one thousand dollars or by imprisonment for not more than one year, or both. The provisions of this section shall not apply to probation officers. (3) for two or more persons at the same time offering bail or surety in respect to offenses committed jointly or in common course of conduct. Massachusetts Rules Of Court Rules Governing Persons authorized To Take Bail Rule 1 Definitions. Massachusetts bail agent’s arrest authority. The fact that this section provides for and discusses an “arrest bond certificate” seems to imply arrest authority. Please check with the Massachusetts’s Department of Insurance, Licensing Board and/or Local Law Enforcement for the most recent updates. If you know of any updates to Massachusetts’s bail bond laws, please provide as much detail as possible and send to us using our contact form.